Cotopaxi national park is a free national park in Ecuador. Cotopaxi is the third highest active volcano in the world that reaches 5897 meters (19,347 feet) above sea level. 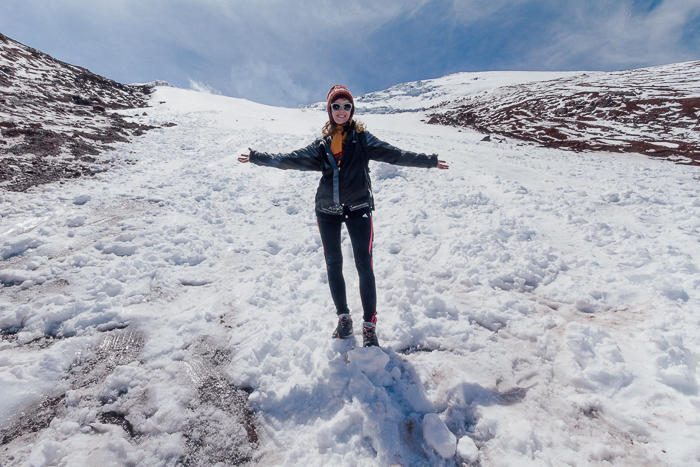 You should avoid visiting Cotopaxi during rainy months (March-April) to get the most out of a visit to Cotopaxi National Park you should. 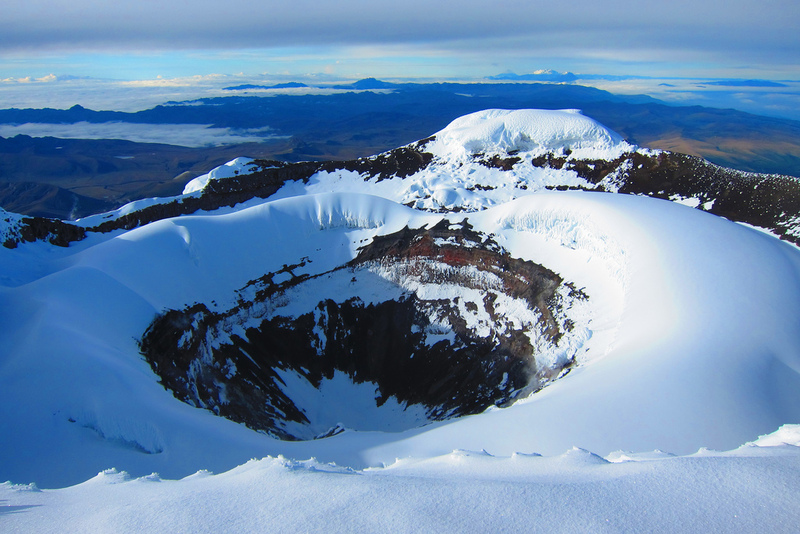 The best months to see Cotopaxi are from June-October. It is impossible to know if you will see Cotopaxi or not because of the weather changes. The best time of the day is from sunrise to midday. There is a higher chance of clouds and rain during the afternoon. The shelter is at 4,864 meters (15,958 feet) above sea level. It is easily reachable from the last parking lot. It will take you roughly 1-2 hours to hike to the shelter. The shelter is only 400 meters (1,300 feet) from the last parking lot. The hike is quite vertical and it can be challenging because of all of the sand. The shelter has toilets, a cafe selling sandwiches, tea, chocolate and corn. They only take cash so bring some coins with you. 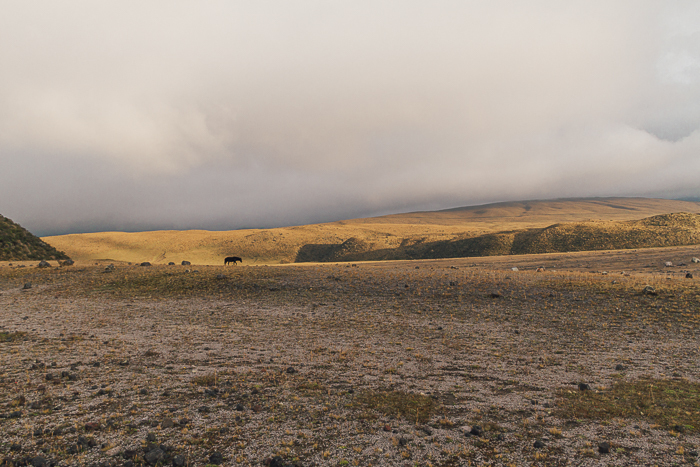 Tambopaxi and Ecuatraveling are offering horseback riding in Cotopaxi National Park. You have to book in advanced with Ecuatraveling, but you can just show up at Tambopaxi if you want horseback riding trip the same day you are visiting. 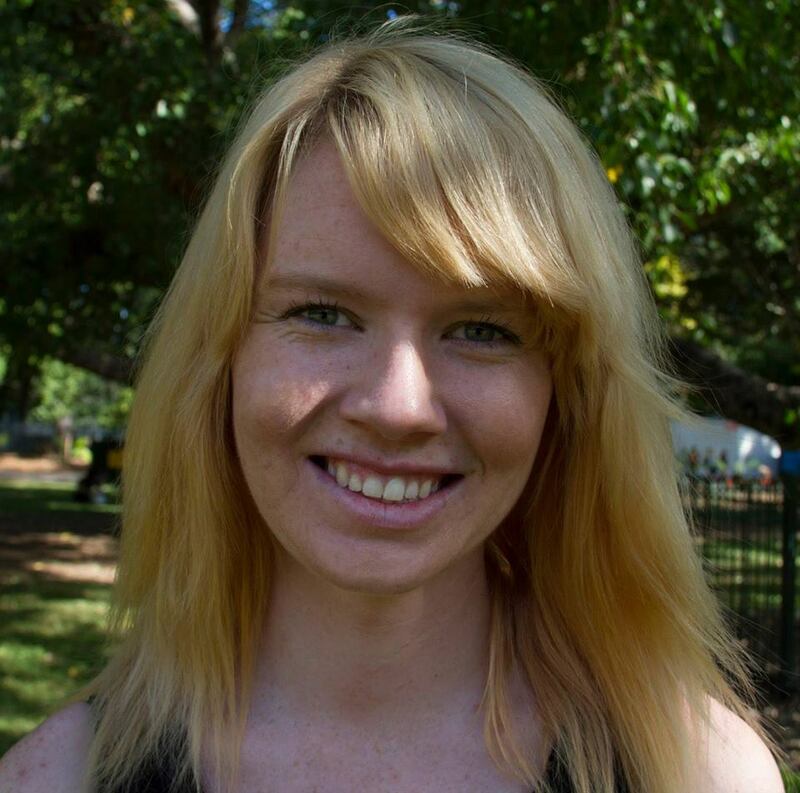 You can choose a horseriding trip from 1-3 hours with prices from $15 for one hour. 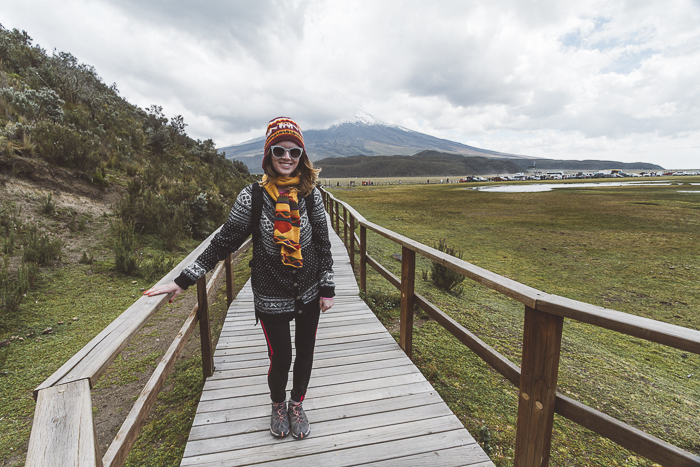 Walking around the lake Limpiopungo can give you an incredible view of Cotopaxi if it is not covered by clouds. Limpiopungo is also a great area for camping. Limpiopungo is a great place to enjoy if you can’t handle altitude and are not able to hike to the shelter. There are many tour companies that offer cycling trips in Cotopaxi National Park. Whether you will cycle a lot or just for some hours. Cotopaxi can be seen on a day-trip from Quito. However, if you arrive after 12 PM. Chances are low you will actually see the whole volcano because of afternoon showers. It takes roughly 2-3 hours to get to the National Park from Quito. There are two parking spots inside the National Park close to the volcano. The last one is only 400 meters down from the shelter. You should aim to get to the last one as the first one is quite a walk to the shelter, which will take you many hours to reach. If the first one is full there are usually shuttles from the first parking spot. Be aware that last parking spot is often mainly reachable for 4WD cars because of mud and sand. 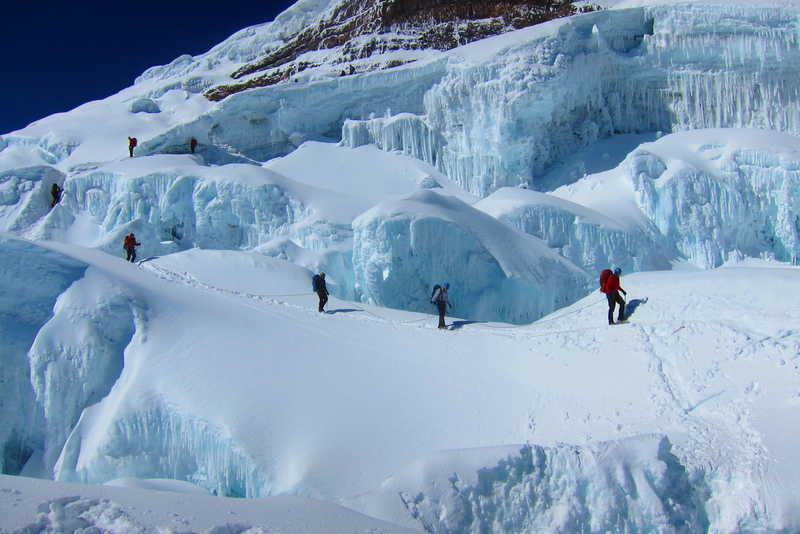 You would need to join a proper tour to climb to the summit of Cotopaxi Cotopaxiclimbing is one of many companies that offers a climbing trip to the summit. It should be booked a few weeks before the climb. The climb is not extremely hard, but it is quite technical and requires special equipment. You will borrow the special equipment of the tour company. You must be acclimatised before doing the climb and you should have warm enough clothing. It is important to have trained a little bit and be acclimatised before aiming for the summit. They say that only half of the climbers actually reaches the summit at 5897 meters (19,347 feet) above sea level. You will get to Cotopaxi National Park in the afternoon and get an introduction to the safety, eat dinner and go to bed early. The actual climb starts around 11 PM-12AM and you will have to be at the summit at 6 AM. The time at the summit will not be more than 30 minutes because of safety reasons. If you are not keen to climb to the summit you will get the most out of Cotopaxi National Park, by staying a night in the National Park. You will have to register before 5 pm at the entrance. 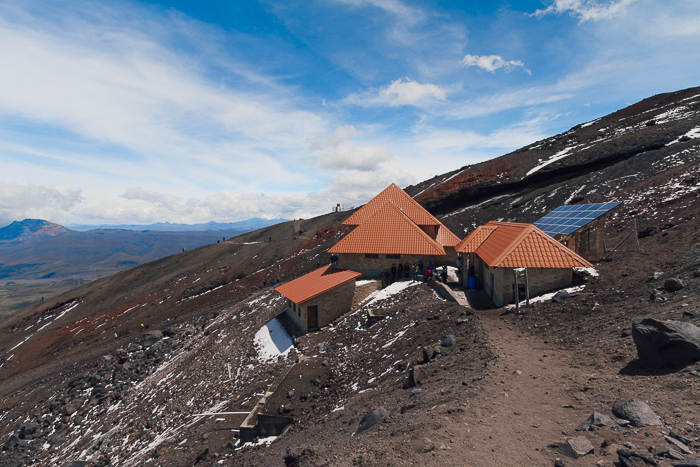 Staying the night is great if you want to enjoy the night there and also experience the breathtaking sunrise and view of Cotopaxi. 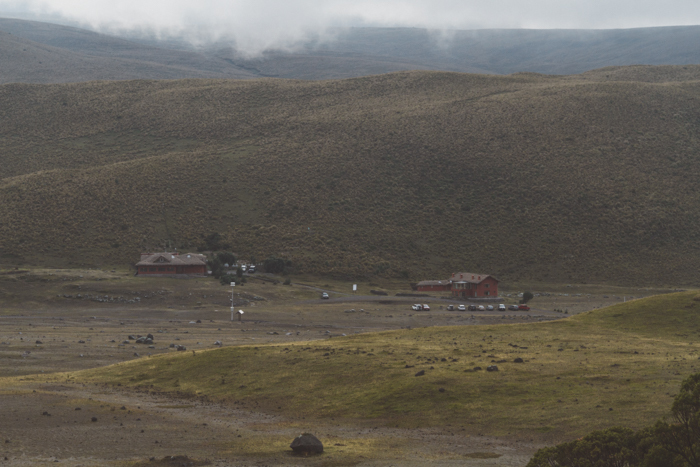 Tambopaxi is a lodging that has been in the national park for many years. 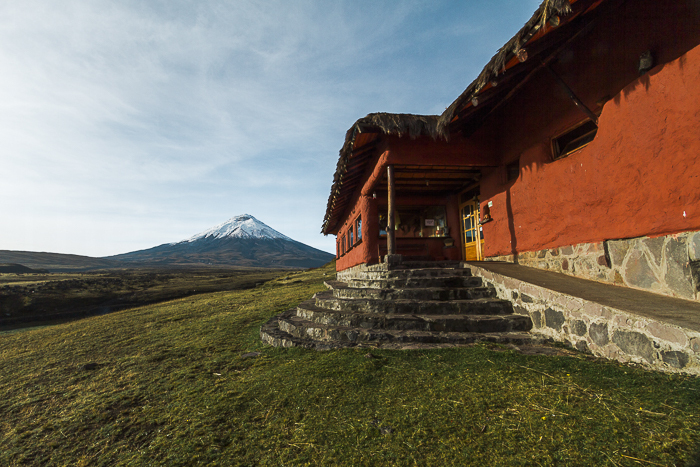 Staying here will give you a breathtaking view of Cotopaxi volcano. They have private rooms and shared rooms from $20. Breakfast is included, dinner and lunch are not. You can camp near Limpiopungo or Tambopaxi. You should camp near a hill to cover the wind. The night will be freezing and make sure the Camping Tent is waterproof and bring a good sleeping bag that will keep you warm throughout the night. 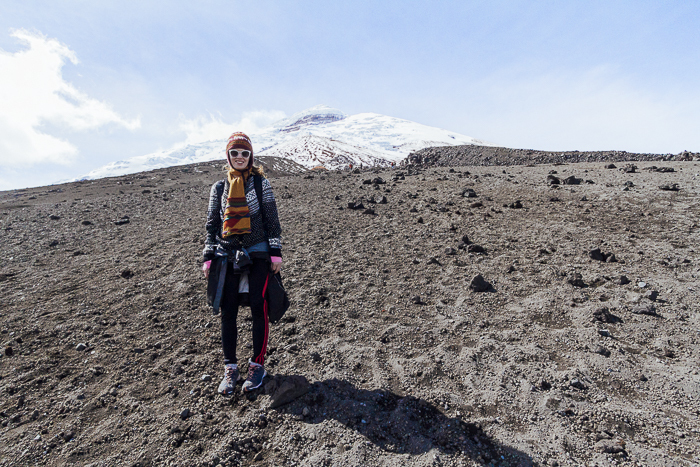 Cotopaxi National Park can get quite cold especially early in the morning and at night. You still need proper clothing if you are only hiking to the shelter. Here is my list of essentials to bring to a trip to Cotopaxi, no matter if you are staying the night or hiking to the shelter. Remember to bring your passport and enough cash! 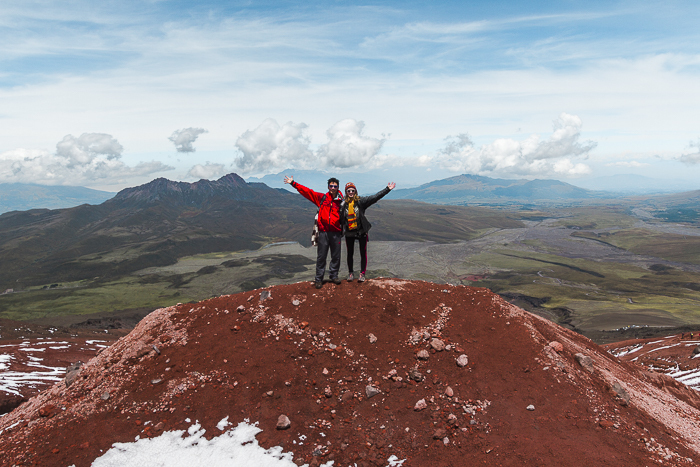 If you haven’t been at a high altitude for some days you should wait to visit Cotopaxi National Park. I recommend staying in Quito or an altitude similar to Quito some days before hiking in the Cotopaxi National Park. You can also take altitude sickness pills like Aspirin to prevent some of the symptoms of altitude sickness. 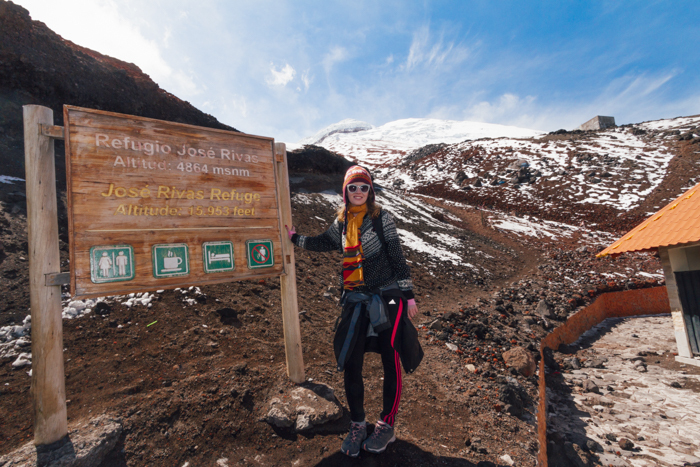 There are a few ways to get to Cotopaxi. You should plan this ahead. Especially if you want to rent a bike or take public transport. 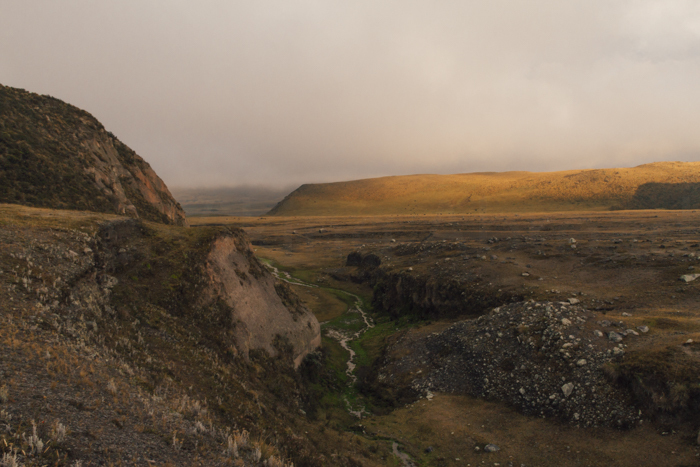 The best way to get to Cotopaxi National Park is to drive. You can easily rent a car in Quito. Driving to Cotopaxi is relatively straightforward. You can use apps like Waze and Google Maps. You will drive south of Quito in the direction of Latacunga. 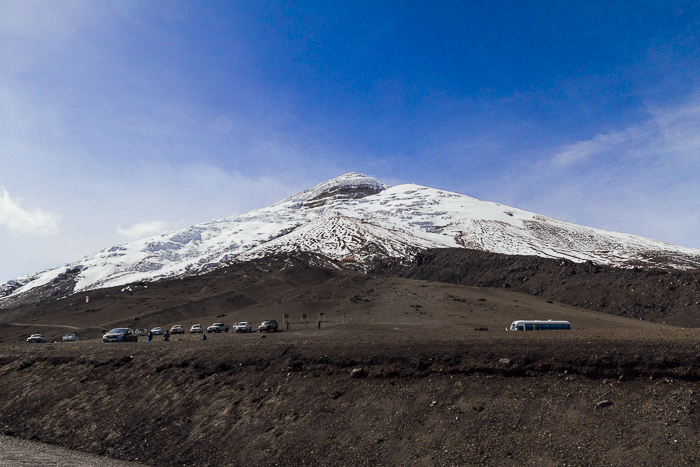 Parking in Cotopaxi National Park can be complicated on the weekends, especially after 10 AM. 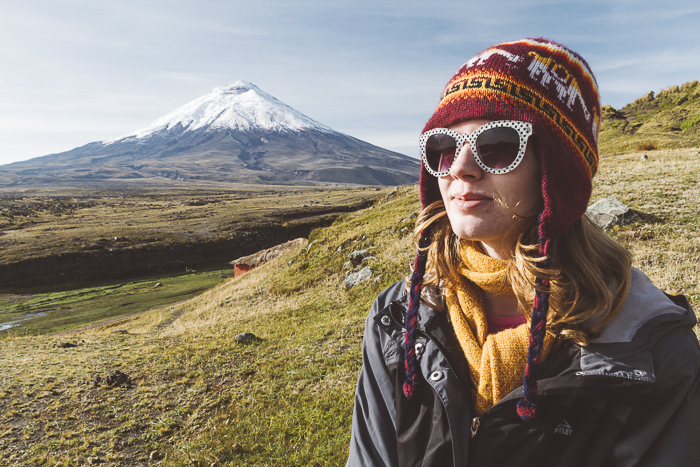 The Easiest way to get to Cotopaxi National Park is with a day-trip from Quito. They will drive you to Cotopaxi and it usually starts from Plaza Foch in Quito. The tours usually include lunch and activities like biking. Check out AdoreEcuador or Ecuatraveling for more information about recommended day-trips to Cotopaxi. Getting to Cotopaxi National Park by bus is clearly the cheapest way, but the most complicated way. You will have to take a bus or taxi to the south bus station of Quito called Quitumbe. From there you will have to take a bus going to Latacunga and from then a bus to park’s El Chasqui entrance. That is still quite a long distance from the parking spot and the best is to hitchhike or get a taxi to the last parking spot as it will take you many hours to walk from El Chasqui. 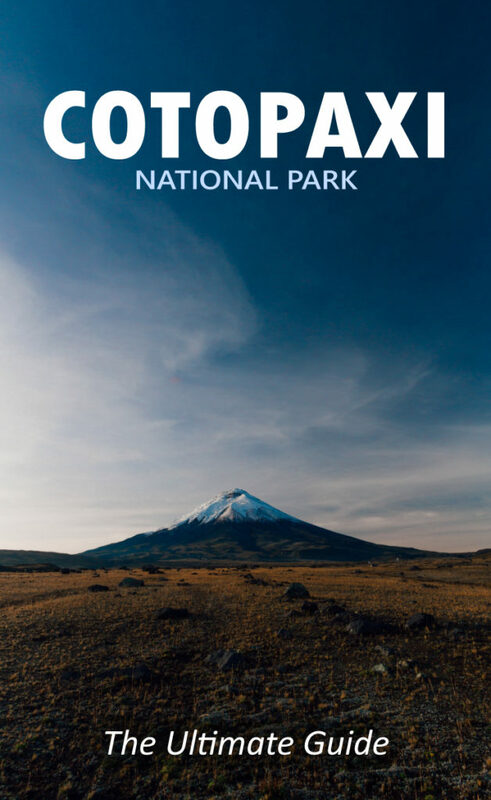 Would you visit Cotopaxi National Park? What would you do there? Wow, what a rewarding view when you get up to Cotopaxi summit! I think it’s probably best to go with an organized tour if you need special equipment, it takes the worry out of preparing for yourself. What a cool hike, we’d love to do this one one day. Oh, this looks so pretty! I really like hiking but I’m not used to hiking in high altitudes. I guess I’ll have to stay in Quito for a bit and take it slow. This Florida girl isn’t used to tall mountains at all! haha. Ecuador is high up on the list, I’ll be adding this to my places to go while visiting! Yes, it is very important to acclimatise, even Quito is at a high altitude. Ecuador is definitely on my list for next year! I love national parks and this one looks gorgeous – although I don’t think I would try to climb the summit, I do enjoy a good day hike and camping overnight sounds like a lot of fun. I can see why you need to join a tour to climb the summit of Cotopax. I would love to visit and wouldn’t dare to do that on my own. You definitely need someone with proper equipment, skills and knowledge to take you there! Hi I am wondering if you can also rent the prope warm clothing such as pants and coat? I don’t want to have to tote those around with me the rest of my trip in Ecuador.